If you have a 2009+ Dodge Ram 1500 4×2 or 4×4 truck and you have lowered the ride height and/or you use your truck for hauling or towing then you need to install extended length rear suspension bump stops. When the ride height is lowered via air bags, lowering springs or by a heavy load the factory rear bump stops will not properly stop the compression of the rear coil springs before they allow the truck to lay down onto the rear control arms. When this happens it will bend the rear control arms and/or deform and crack the rear control arm bushings. Our extended length polyurethane rear bump stops will prevent this from happening. 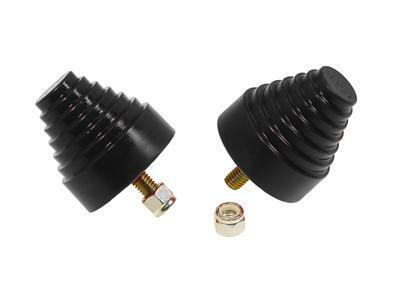 They’re an easy 100% bolt in replacement of the factory rear suspension bump stops. Their extended length will stop the rear suspension compression before any rear control arm damage can occur. 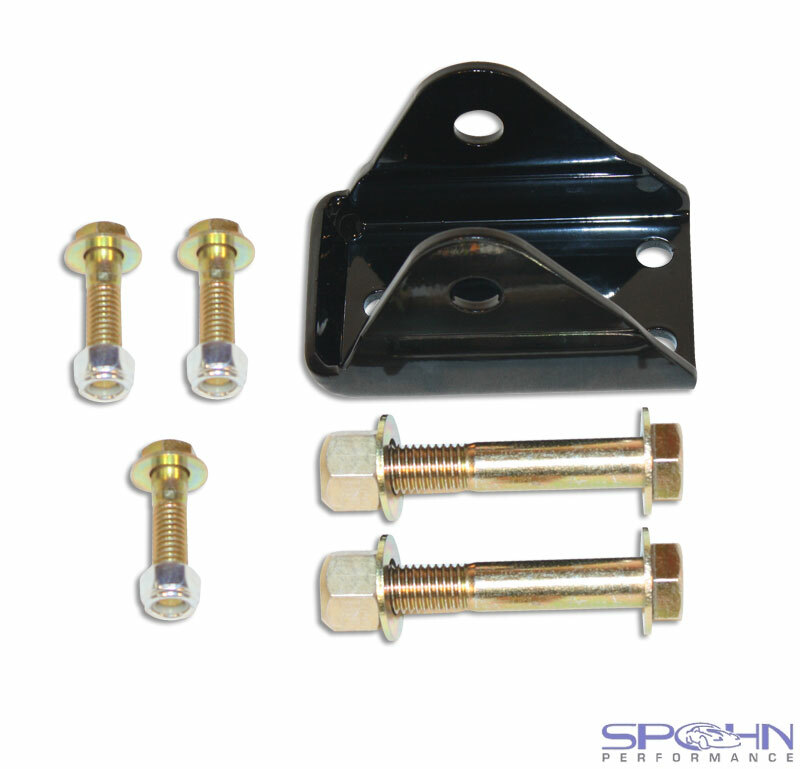 These extended length rear suspension bump stops ARE A MUST (not optional) if you are lowered or use your truck for hauling heavy loads and/or towing. Check out all of our performance suspension components for the 2009+ Dodge Ram 1500 4×2 and 4×4 trucks by clicking here. 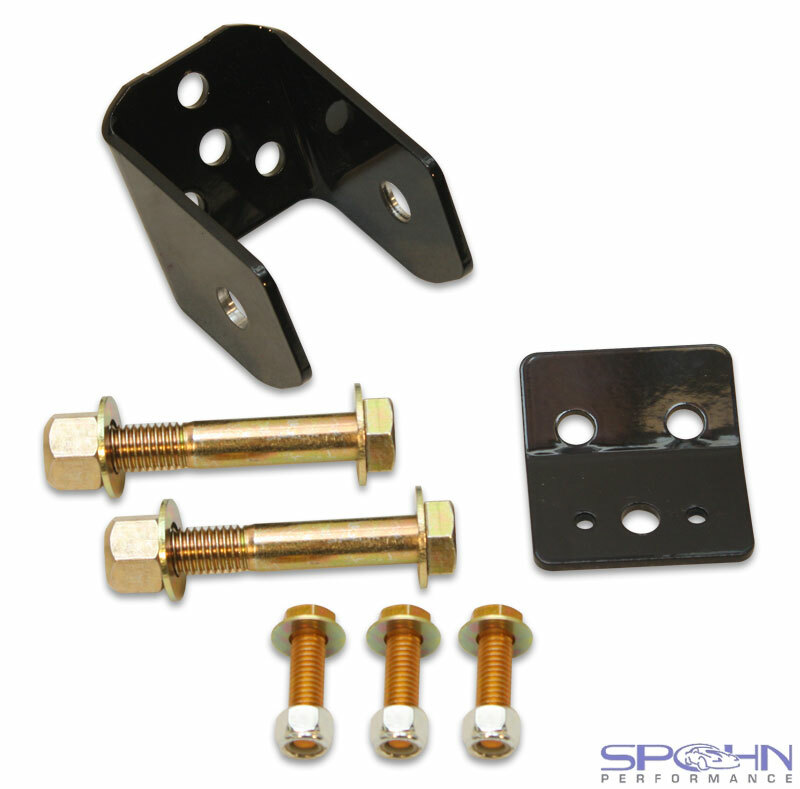 Our rear upper control arm front frame mounts for the 1959-1970 Chevrolet B-Body Impala, Caprice, Biscayne and Bel Air are a direct replacement of the stock mount that attaches the rear upper control arm to the frame. You can use our new mount to replace the stock mount when it is too corroded or to use as a second mount when installing a four link (two rear upper control arms) set up into a factory three link (one rear upper control arm) car. 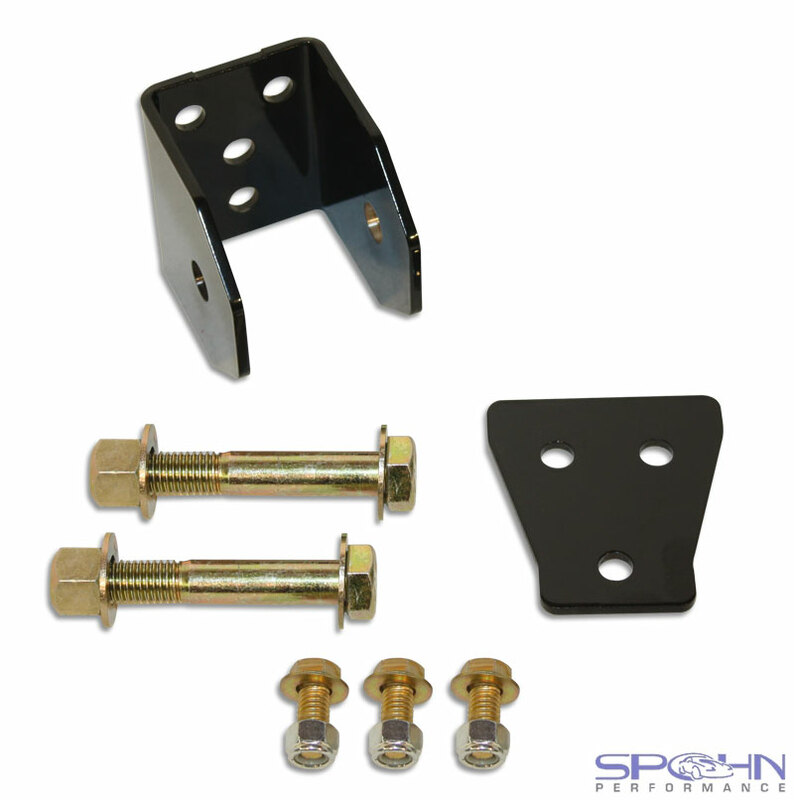 Our rear upper control arm front frame mount is CNC laser cut and formed from 3/16″ steel and comes powder coated in gloss black for a brilliant and durable finish. All necessary mounting hardware is supplied (Grade 8) to complete the installation, including new control arm mounting hardware. Priced per Mount — Qty. 1 = 1 Mount: You will need to verify whether your car has one or two rear upper control arms. All six cylinder and most small block cars were equipped with one rear upper control arm. Big block cars were equipped with two rear upper control arms. Fitment Note: Fits Chevrolet B-Body cars only. Check out all of our performance suspension components for the 1959-1964 and the 1965-1970 Chevrolet Impala, Caprice, Biscayne and Bel Air.